The mountainous Kingdom of Lesotho, with a tiny population of just over two million people, is one of the countries of the world that are hardest hit by HIV, with the second highest HIV prevalence after Swaziland. More than 23% of Basotho people, or about one in four people in the country, have HIV. In 2009 there were around 23 000 new HIV infections and approximately 14 000 people died from AIDS-related causes. Over half of the 260 000 adults living with HIV in Lesotho are women. There are currently more than 200 000 orphans in Lesotho, with most of the orphaned children being due to AIDS. As in many other countries, there are also a number of key affected populations in Lesotho – one of them being prison inmates. Studies have shown that prisons are a high-risk environment for HIV transmission. Furthermore, prisoners who are already HIV-infected often end up with very weak immune systems because of overcrowded living conditions, stress, malnutrition, drugs and violence that is so prevalent in prisons, making them more susceptible to getting ill. But, in spite of this knowledge, the health and well-being of prisoners is often neglected and overlooked. It is against this background that MenEngage Lesotho, a network of 10 non-profit making, non-partisan and non-governmental organisations based in Lesotho’s capital, Maseru, conducted an assessment in 2012 and 2013 to determine the extent of the HIV problem in Lesotho’s correctional services facilities. The assessment was a fact-finding exercise that would later be used to inform the network on what measures it, together with the prison authorities, can employ to address the challenges that exist. To provide them with psycho-social support through counselling in order to empower them and strengthen their desire and determination to live free from violence. Of the inmates who participated in the assessment, 463 (17%) of the total of 2 673 inmates within Lesotho’s correctional services facilities said they were HIV-positive, with 145 (30%) already taking antiretroviral therapy (ART). Some got into the prison system already infected and others got infected while inside jail. Furthermore, these individuals stated that the requirements that enable ART to be effective, including adherence and access to proper nutrition, were not fully catered for within correctional facilities. Sexual activity, use of drugs and physical violence were largely cited as regular occurrences within correctional facilities. From this assessment, it can be concluded that a vast percentage of inmates experience abuse/violence while still in prison. It is also noted that prison facilities do not regularly supply enough “Play Kits”, which comprise of condoms and lubricants for inmates. It is also of concern that reintegration of inmates back into their communities is often fraught with challenges. Many contract HIV during incarceration and because of shame and the fear of being stigmatised and the fear of rejection by their partners and their families, they do not disclose their HIV-positive status, and therefore, they do not access care and treatment when they are released back into society. In some instances, some think the only way out of their dilemma is to resort back to crime so that can get caught and imprisoned again as the only way out of their dilemma. Following these observations, MenEngage Lesotho has partnered with Lesotho Correctional Services to devise a programme to address these challenges. We have a working relationship with Correctional Services, which has allowed us to have monthly supervised sessions with inmates where we have dialogues as part of efforts to address their concerns. Also, with the help of CRROA-Crime Prevention Rehabilitation and Re-integration of Ex-Prisoners, which is also part of MenEngage Lesotho, we interact with communities to help smooth relations between the inmate and families and communities before inmates are released. We mediate between them and plead for rehabilitated inmates to be given a second chance. We also engage ex-inmates with activities that will make them become productive members of society and to generate income for themselves and their families. We introduce ourselves (MenEngage Lesotho) and our purpose to both Correctional Services and the relevant communities and explain how we will engage in the service. Visits to inmates during their stay in prison, conducting dialogues and counselling sessions. Monthly and regular meetings with ex-inmates at CRROA (Association of ex-prisoners) and their supervision, thereof. Public gatherings at community level, whereby we have conversations around interventions and mediation between communities and inmates and the importance of inmates’ reintegration into communities. These are income generating activities within the community implemented to engage the ex-inmates and help them earn a living and also be productive in the community. We are constantly monitoring the results of our intervention, which is showing a significant effect. 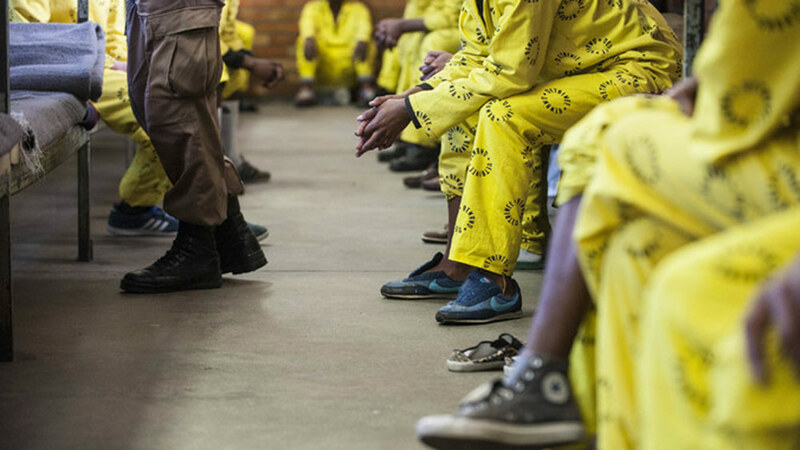 Following the assessment and our recommendations to Lesotho Correctional Services, a full-time HIV and TB co-ordinator has been employed by Lesotho Correctional Services to help address the sexual health and rights and general well-being of inmates. We can also report that through sustained counselling, the rehabilitation of inmates and their integration into communities has vastly improved. When prisoners go back to their families and into their communities, they are equipped to face life after prison and they are able to speak freely about HIV and positive living. This is thanks to the mediation role we play between inmates and their families and communities; and also between inmates and victims or survivors of their crimes to enable a process of healing and forgiveness on the part of the victim, and accountability for their actions on the part of the inmate, before they are released from prison. Our intervention also entails equipping inmates with income-generation skills so that they can be able to sustain their lives when out of prison. This is important to help prevent a culture of repeat offenders who go in and out of jail. We also deem it crucial for inmates to receive further health support when they are out of prison. To ensure that this continues, we help them organise themselves into groups where they can share information and support one another to deal with their HIV and sexual and reproductive health challenges beyond the prison setting. Prisoners are part of communities, people work in prisons, others visit prisons, and most prisoners will be released back into their families and communities at some point. As a result, HIV in prisons is both a public health and a human rights issue that needs to be addressed urgently for an effective response to the epidemic. However, worldwide, governments are failing to address this. A substantial body of evidence shows that targeted HIV prevention programmes can reduce HIV transmission within prison populations. Existing efforts need to be scaled-up, particularly comprehensive HIV prevention and treatment programmes in order to provide prisoners living with HIV with the services they need. Protective laws, policies and programmes that are adequately resourced, monitored and enforced can also improve the health and safety of prisoners as well as the community as a whole.